Hpm of America LLC is a First-Class Parking Company, experienced parking services provider, offering parking solutions for industries of all types. For information about HPM of America LLC monthly parking agreement, Please Fill out the following forms: Monthly Parking Agreement Once you have completed these forms, please return them to the parking facility you are applying for monthly parking. HPM of America LLC is an expert in valet parking. 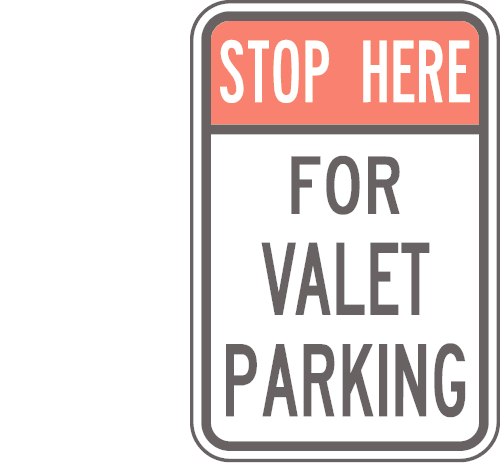 Our valet parking division handles "full-time" and "part-time" valet parking for businesses and special events. Our Valet Services that is scalable and highly flexible, allowing us to provide superior services for your guests. To book our valet services or for rates, availability, or general questions please Call or email us. HPM of America LLC effectively manages a variety of facilities- from small surface lots to large, multi-level parking structures. We focus on increasing income, reducing expenses and maximizing our client’s bottom line. Our partnership greatly benefits building managers and property owners. HPM of America, LLC is a full-service parking operator and management company providing the community with self-service and valet parking. We are committed to providing safe, secure and well-managed parking to the general public and businesses while enabling maximum revenue and service level for our clients through expert management of staff. Our experience includes 10 years in parking facility management, and a combined staff of 40, including management staff, cashiers, and parking attendants. HPM of America, LLC takes an "ownership" approach to operations designed to maximize revenue, lower overhead and achieve enhanced customer loyalty and service. Since 2008 we have effectively and profitably managed garages and lots in San Francisco Bay Area. We are proud of our record of service and of our proven ability to manage and increase revenue for various properties under our management. Perhaps our greatest strength is our willingness to consider and incorporate the fresh perspectives and new ideas of our diverse staff into our tried and true methods of operations and management. This approach has enabled us to expand and update services while continuing to generate profit and revenue. Additionally, we have learned to cultivate amicable and symbiotic relationships with neighborhood businesses, allowing an exchange of ideas toward better service both for the public and for those local businesses. Making parking easier for patrons by enlisting support of local business (e.g., valet parking and merchant validations) is one of the many ways our management excels. Our commitment to service is unrivaled, yet we continue to find ways to improve that service. Experienced, reliable, well groomed and organized. Professional, uniformed greeters at your entrance to provide direction and information assistance. Cones, radios and lighted equipment. Standard clear valet parking and directional signs. Flashlights, umbrellas and emergency kit, Fully Licensed and Insured Key Storage, claim checks and site directions. Last weekend I parked my car at the 550 O'Farrell parking garage. I was greeted with a friendly smile when I pulled up to the valet. The attendant was extremely courteous and helped me out of my car with my two kids. He even went out of his way to get my bags out of the trunk and set up my stroller. Who does that?? Great service so definitely park here! !